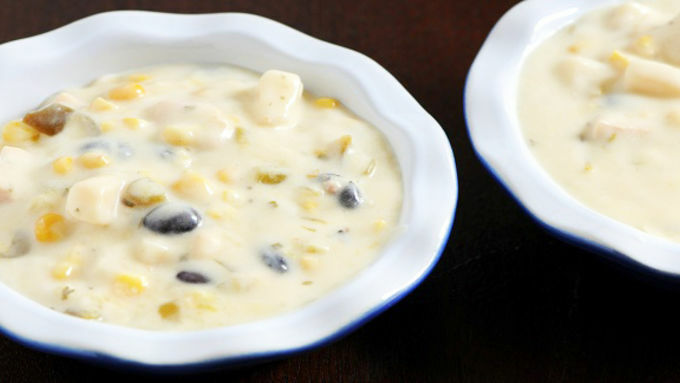 In a large bowl, empty out two cans of Progresso™ Chicken Corn Chowder. Add 1/3 cup of extra corn. 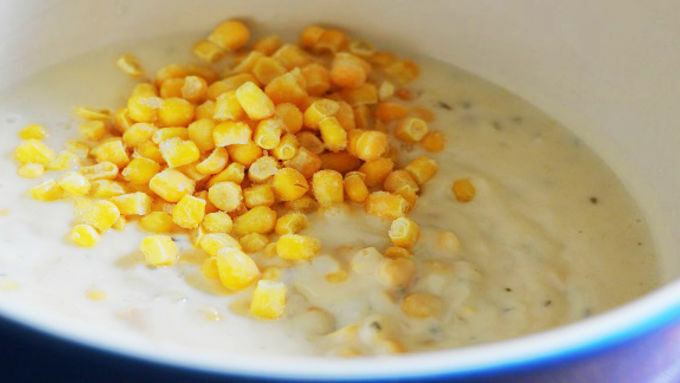 You can omit this if you like but I really like corn. Plus using the frozen corn adds another texture dimension to the pot pie. 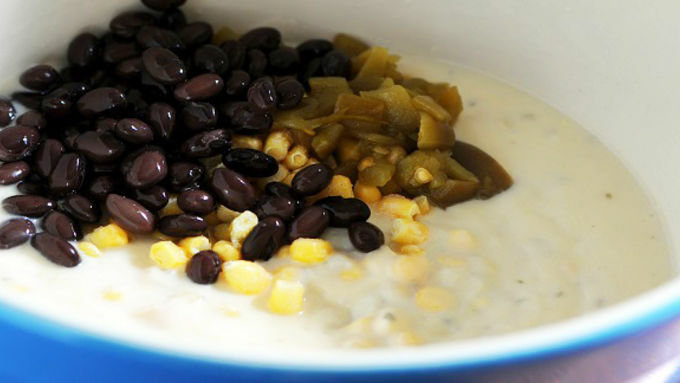 Add 2 tbsp of Old El Paso™ Green Chiles. You can add more or use less depending on your tastes. Add 1/3 cup black beans. Stir all together. 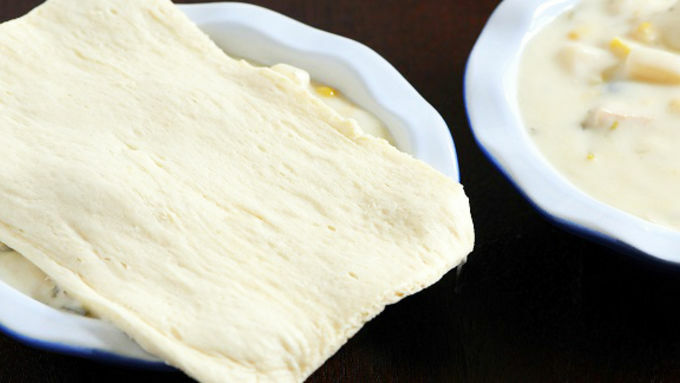 Evenly distribute the mixture among 4 large ramekins or 4 mini pie dishes. 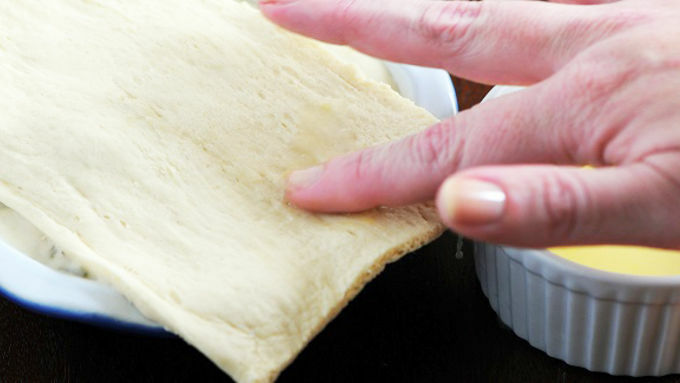 Unroll dough; separate into 4 squares. Place 1 square over each ramekin or pie dish. In small bowl, mix egg and water. Brush mixture over dough. 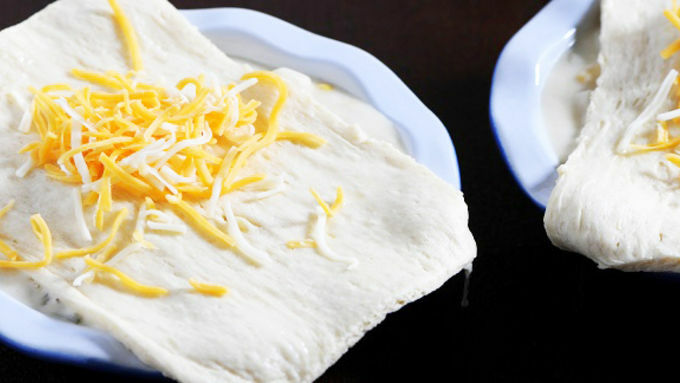 Sprinkle 1 tbsp of Mexican blend cheese over dough. Bake 11 to 13 minutes or until crusts are golden brown. Top with sour cream and a pinch of Old El Paso™ Taco Seasoning. 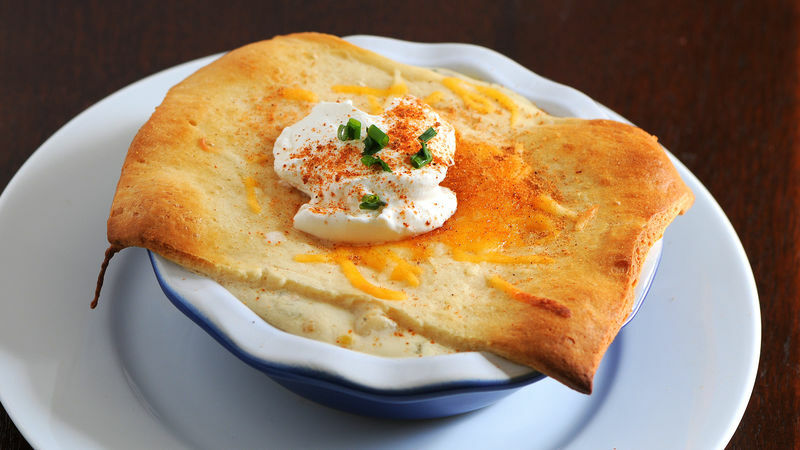 Chicken Pot Pie is a dish I love to eat, but have been scared to make. Not anymore. 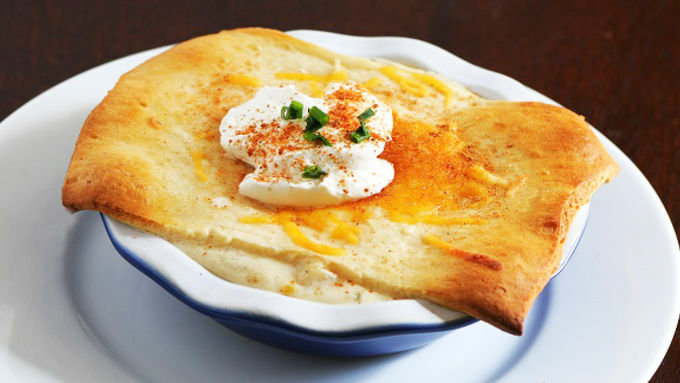 Here’s a quick and easy way to make it… and with a twist… Easy Mexican Chicken Pot Pies. Adding just a touch of heat with the help of some Old El Paso™ Green Chilies, we’ve brought chicken pot pie to a whole new level. No rolling out pie dough as these are baked into ramekins and topped with Pillsbury™ Crescent Roll dough. 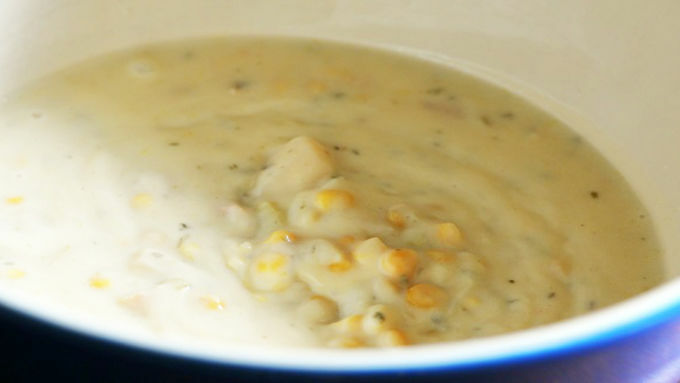 Using Progresso™’s Chicken Corn Chowder as your pot pie base this recipe is very easy to customize, so feel free to add whatever ingredients you prefer; I added some black beans, a little more corn, and green chilies. 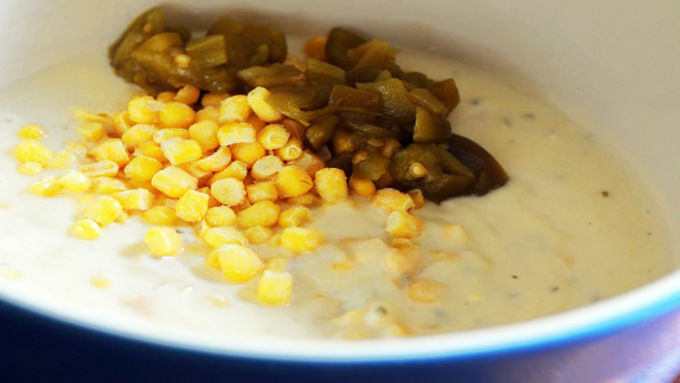 While I added extra corn, you can omit this if you like, but I really like corn. Plus using the frozen kind adds another texture dimension to the pot pie. You can use large ramekins or 4 mini pie dishes. Ramekins will work best as they are deeper, but I used pie pans. Top with sour cream and a pinch of Old El Paso™ Taco Seasoning and enjoy!